My latest book is now published on Amazon in print and ebook. I am not a biblical scholar and most people I know are not either. But we are all touched by death, and we all have some belief regarding what happens. What happens to our bodies and souls when we die presents the biggest dilemma that Christians face. It would appear to be simple, but it is far from that. In addition to the Bible, Christians have incorporated theology, cultural beliefs, songs, movies and mysticism into what is believed about heaven and hell. We are reading the same Bible, but what we accept as truth varies from one church to another, from one person to another, and from one generation to another. This book is written in a conversational style by a church secretary. It has a little bit of humor, and a whole lot of scripture thrown in. You will discover 5 commonly held beliefs about death, and 5 distinct beliefs about hell. You will learn that Christian theology about what happens after death continues to change. You will be challenged to fire the devil. Most of all, this book will give you hope and help you come to terms with death and dying. You will find God’s love spread throughout these pages. 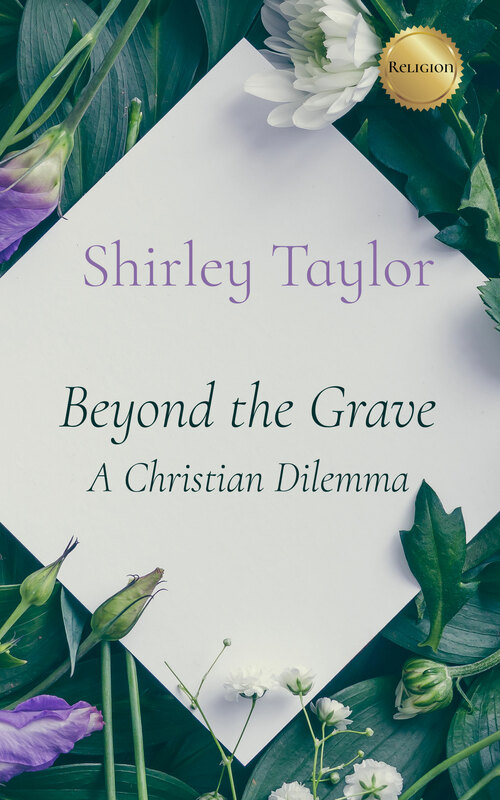 Shirley Taylor writes with humor and common sense, challenging the church body to reclaim equality for Christian women. This entry was posted in Uncategorized and tagged Beyond the Grave, devil, heaven, hell, hope, salvation. Bookmark the permalink. Love your blog and the message you come with! Thank you! Sorry to be so late in answering.